Seeing the best of colonial Quito and the culture-rich areas around Otavalo, which has South America's most vibrant market, in just a few days makes this an ideal Galapagos extension or section of a full-length Ecuador trip. This short trip north of Quito to the region most reflective of Ecuador’s indigenous roots is a great extension to Galapagos cruises, or can be used as part of a more extensive mainland Ecuador trip. A relaxed pace filled that will help you experience traditional Andean cultures while visiting beautiful landscapes, eating delicious food, and staying in luxurious yet charming hacienda accommodations. After your return flight from Galapagos or internationally enjoy a half-day guided excursion exploring Quito’s colonial heritage while visiting both popular and lesser-known sites and neighborhoods from historic to bohemian. Heading north visit two historic haciendas lunching at one, as well as a rose plantation en route to Otavalo – a northern outpost for a variety of indigenous peoples from the nearby countryside. Explore South America’s most culturally intriguing market. Overnight in a charming hacienda. Setting out into the surrounding countryside, take a rejuvenating walk around volcanic crater lake Cuicocha spotting myriad humming bird species. Experience a luxurious lunch at 200-year old La Mirage Hacienda before visiting small towns known for leather and wood works before relaxing back at your hacienda. Return to Quito and catch your onward flight home or to the Galapagos. An ideal Ecuador trip for those looking to experience the country’s traditional cultures, small towns, scenic landscapes, and colonial architecture in a limited amount of time. 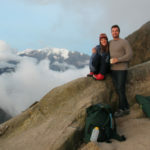 Knowmad has vast knowledge and operations in Ecuador; this is a private trip and we are happy to modify excursions, accommodations, and the flow of the itinerary to perfectly suit your travel style and interests. 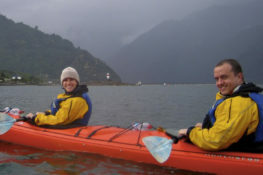 LIGHT TRIP Activities include cultural opportunities, history, shopping, wildlife viewing, optional hiking. International Airfare is not included in the land cost of our trips. You may arrange your international airfare independently, or we are happy to offer our feedback and assistance in helping you book it. regional There is no regional airfare necessary for this itinerary. As Ecuador is located on the Equator, there is little seasonal differentiation and it is a great year-round destination. Although there is a slightly wetter season and a slightly drier season, there is little predictability and these variations differ from region to region, as Ecuador is so geographically diverse. Quito and the highlands enjoy comfortable temperatures, usually in the 60s F (15-20 C) during the day and occasional showers. As South American travel specialists, we’re experts and have inspected hundreds of properties. Knowmad is happy to suggest upgrades and alternative hotels based on your preferences to ensure your trip is perfect for you. Photos below are from this itinerary’s preferred accommodations. For more specifics, call or write to request more info. After your arrival to the Quito Airport you will be taken to your hotel for check in before heading out with your guide to explore the city. Visit the historic Basilica before taking in the architecture of the Calle de Siete Cruces (street of the Seven Crosses), which was an Incan route to their center of worship, and consequently the avenue most transformed by conquering Christians and reflective of their architectural influence. The seven crosses erected were an effort to convert indigenous peoples. Walking along the avenue takes you to the Plaza de la Independencia where you visit one of the oldest cathedrals in South America: La Catedral de Quito where a plaque marks the spot where a former president was killed. Stop in at the Metropolitan Cultural Center and visit the Plaza de San Francisco and its church, which was the Tiaguez, or main market place, dating back to pre-Incan times. The church’s museum houses thousands of Latin American art which reflect the mix of indigenous and European styles. Enjoy a delicious lunch at Plaza Grande, visit a typical sweet shop, and enjoy great people watching. Continue along historic Bolivar Street and La Ronda, said to be the first street built in Quito and a haven for artists and poets. Here you can visit artisan families, one specializing in candles for religious processions and another of hatmakers. Following breakfast you will make the two-hour drive north to Otavalo. En route stop at a historic hacienda and an adjacent rose plantation learning of their cultivation and worldwide exportation. Arriving to Otavalo, enjoy a traditional lunch Hacienda Pinsaqui. Following lunch continue on to the Otavalo Market, the biggest and most important indigenous market in all Latin America. The colorful main handicraft and textile market spills into the streets from the central Plaza de Ponchos, the colorful produce market impresses by sheer number, and the cacophony of the animal market is to the outskirts of town. The friendly Otavalenos are more than happy to talk about their crafts and traditions. After exploring this feast for the senses, head back to your charming accommodations at Hacienda Cusin. Following breakfast at the hacienda, you will set out into the surrounding countryside. Arrive to the active volcanic crater lake of Cuicocha taking a leisurely hike around the rim of the crater while spotting unique flora, myriad humming bird species and other birds and wildlife. Following a nice hike enjoy a luxurious lunch at La Mirage on the grounds of a lavish 200-year old hacienda. From there visit the small town Cotacachi, known for its leather goods, and also visit the village San Antonio de Ibarra known for its woodworkers. Following breakfast you will return to Quito in accordance with your onward flight to the Galapagos or your international departure home. If you are flying internationally, as most flights to North America and Europe arrive and depart late in the evening, it is best to do your exploration of Quito on this day as opposed to on the first day. 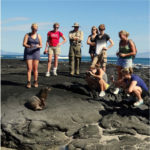 After a thorough exploration of mainland Ecuador, fly west to the Pacific for a Galapagos adventure cruise. This incredibly vast archaeological site – lost to the world until well into the twentieth century – is perched amidst Andean peaks and lush cloud forest making it as breathtaking as it is intriguing. 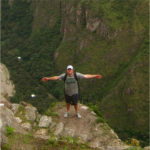 Arrive by train or by a day’s hike on the Inca Trail.